Donating eggs is a very positive and generous act that one can make. We feel good and satisfied when we help other and becoming a source for a couple for starting their family makes you a positive person. 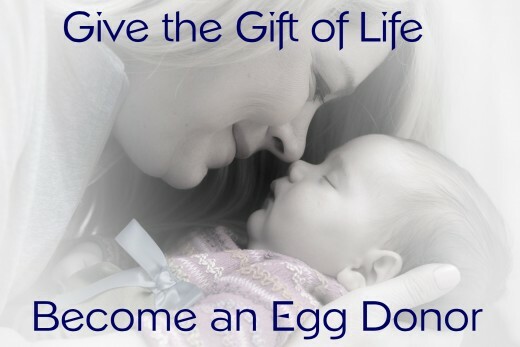 If you want to be a part of this sacred program and seriously want to donate your egg but do not know how to become an Egg donor in Delhi India? You must self-analyze your traits and abilities. A woman should question her various questions for e.g. why she wants to do this, for money or for helping the couple, whether she is aware of the methods and process including its complications and after effects. 1. Physical and health condition: When a couple decides to rely on an egg donor, they always wanted a person with good and condition both physically and mentally. The reputed company of egg donation in Delhi does a proper research and adds only women who are physically fit. You should not smoke and shouldn’t intake tobaccos because it can be harmful and can affect your unfertilized eggs. If a woman is not physically or mentally fit she is not fit to become an egg donor. Age is an important factor, you should in the age of childbearing and In India, it’s considered between 21 to 30 years. 2. Traits and Personality: Personality is also a very important factor that is counted by the various couple and therefore various companies kept this in mind and select the egg donors accordingly. Having a good and a positive spirit add advantage and therefore most of the agency look for women who have a huge sense of generosity. Though they are compensated there are also risk included in this process and if she is aware of all the complications she will be ready in dealing with situations easily. Should be responsible enough to carry this responsibility as it is not an easy path to follow. You will be medicated, screened through needles which make you feel low sometimes so it is very important to know your responsibility and one should know how to bear them. 3. It is India and therefore you can get the certain pressure of society and family, because people In India have various myths about egg donors and about the process, and people to accept it before being an egg donor you must be clear that you are being a part most generous thing and should not be confused. Frozen Eggs in Delhi India is another method it can be an option for a woman who is not ready to become pregnant now but wants to be pregnant in future and for the same they make their egg freeze. Frozen eggs are also important for IVF process because it shortens the time included in the process and it lessens the cost of the whole process too. According to a research, the success rate of frozen eggs is same when compared to fresh one. There are various clinics and experts who suggest a couple to use frozen eggs in India Delhi. ARTbaby is the best centers for egg donation in Delhi India and if you have some doubt about frozen eggs and about how to be an egg donor do not worry its completely normal and we work on that to make your myth clear so that you can take most generous decision which satisfies you to the core. This entry was posted in Surrogacy and tagged Egg donor in Delhi NCR India, frozen eggs in Delhi India by Ravi Sharma. Bookmark the permalink.